Stewardship – Maine. Ocean. Camping. Here at Searsport Shores, we see camping in every form. Guests arrive with sleeping bags for the back seats of cars, tents of every descripition and RV’s from tiny trailers to $800K+ motorhomes. 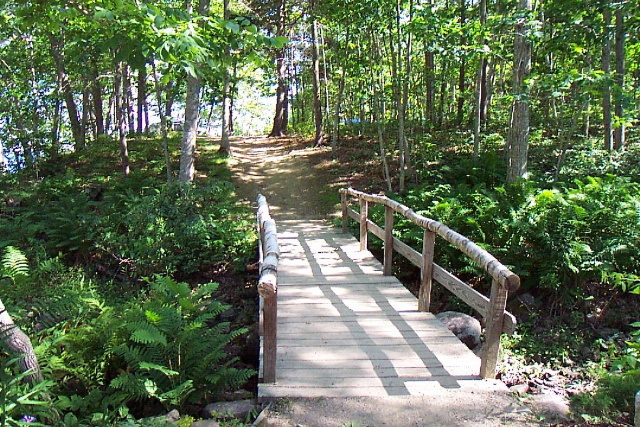 Our mission is to provide sites for everyone who wants to spend time walking the beaches and gardens on Penobscot Bay. We see ourselves as a wonderful homebase for hanging out and daytripping to the mountains, islands and interior farmlands. Generally speaking, we expect you to stay at least 3 nights, are pleased when you stay a week and thrilled if we can keep you for 3 weeks. Depending on which one of us you talk with, you’ll hear a different picture of the nicest campsites in the campground. Dad definitely prefers the big pull throughs behind the rec hall. 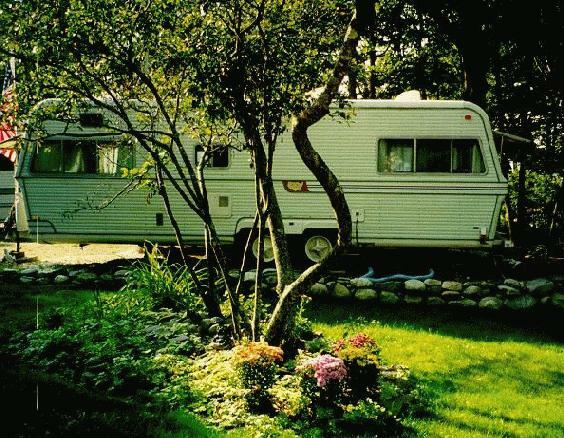 They’re huge, gravelled and built for the largest RV’s on the road. Steven will direct you to sites 1, 2 and 51…they boast beautiful little perennial gardens and showcase some lovely rock work. My favorite part of the park is the walk in tenting area. You bring your gear over a bridge to your site with garden carts. The lack of vehicular traffic lends itself to daydreaming and glasses of chilled wine. 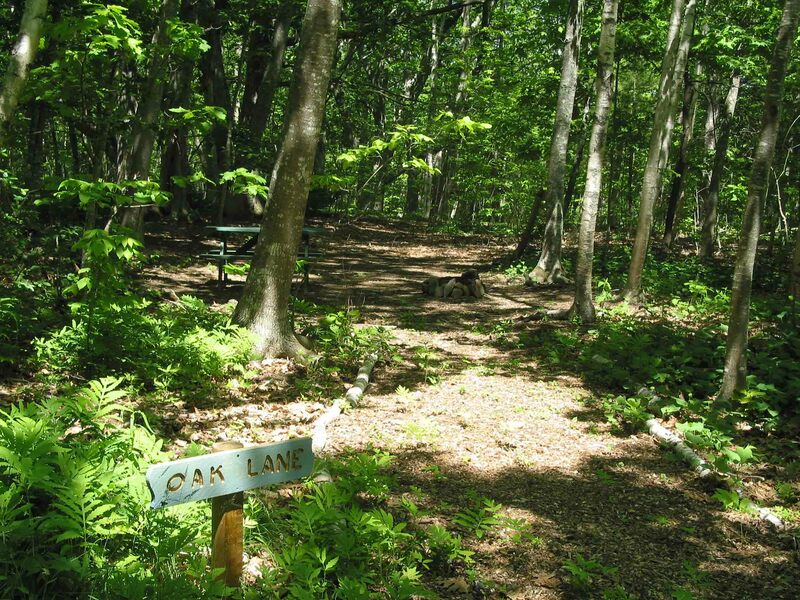 My cabin is in this part of the park and the land is covered with a mixture of oaks, firs and 4′ high ferns. A long time ago we made an agreement as a family to steward the land. Our challenge has been to preserve its integrity while upgrading the park to accomodate the needs of today’s campers. This has meant that we’ve resisted cutting trees for wider roads but instead limb them for a 12′ clearance. We’ve chosen not to pave the parking lots in order to allow for natural run off and deliberately limit the number of campsites we feel the land can support. Everything is a trade off and by taking a more green approach we’ve been able to assure that our guests can still pick apples from heirloom trees harkening back from when this land was a farm in the 1800’s. Sometimes we lose potential guests because we refuse to exceed the capacity of the land by allowing tents in areas where the ferns will be trampled or large RV’s in places where a pop-up is better suited…these decisions aren’t always easy to defend while I’m talking on the phone to someone in East Osh Kosh but if they decide to come, they quickly learn that there’s a method to our madness. Next Sunday We Picnicked…Thursday We Shovel!